"The Open Access version of this book, available at https://doi.org/10.4324/9780429458781, has been made available under a Creative Commons Attribution-Non Commercial-No Derivatives 4.0 license." This book examines the uncertainties underlying various strategies for a low-carbon future. Most prominently, such strategies relate to transitions in the energy sector, on both the supply and the demand side. At the same time they interact with other sectors, such as industrial production, transport, and building, and ultimately require new behaviour patterns at household and individual levels. Currently, much research is available on the effectiveness of these strategies but, in order to successfully implement comprehensive transition pathways, it is crucial not only to understand the benefits but also the risks. 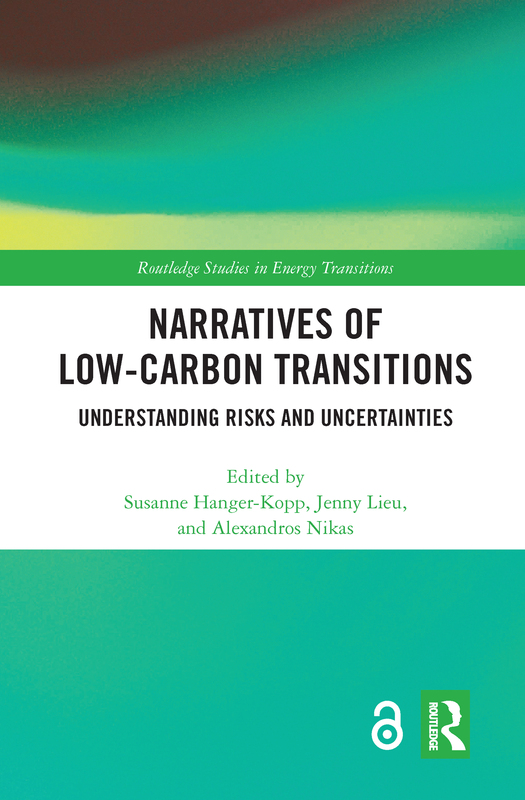 Filling this gap, this volume provides an interdisciplinary, conceptual framework to assess risks and uncertainties associated with low-carbon policies and applies this consistently across 11 country cases from around the world, illustrating alternative transition pathways in various contexts. The cases are presented as narratives, drawing on stakeholder-driven research efforts. They showcase diverse empirical evidence reflecting the complex challenges to and potential negative consequences of such pathways. Together, they enable the reader to draw valuable lessons on the risks and uncertainties associated with choosing the envisaged transition pathways, as well as ways to manage the implementation of these pathways and ultimately enable sustainable and lasting social and environmental effects. This book will be of great interest to students, scholars, and practitioners of environmental and energy policy, low-carbon transitions, renewable energy technologies, climate change action, and sustainability in general.